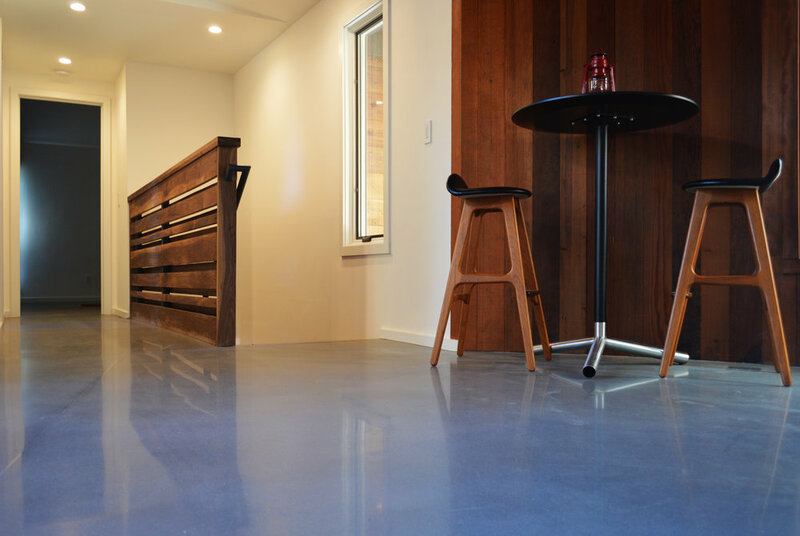 The power of TRU, lies in its ability to be polished and provide that classic polished concrete look. The product can be imbedded with aggregate, glass and color. 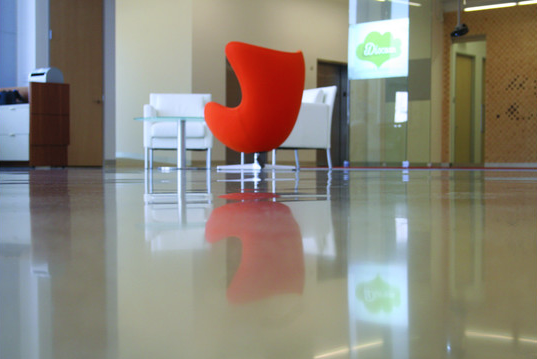 You can also utilize terrazzo strips to reveal a brushed steal or aluminum look in the joints. 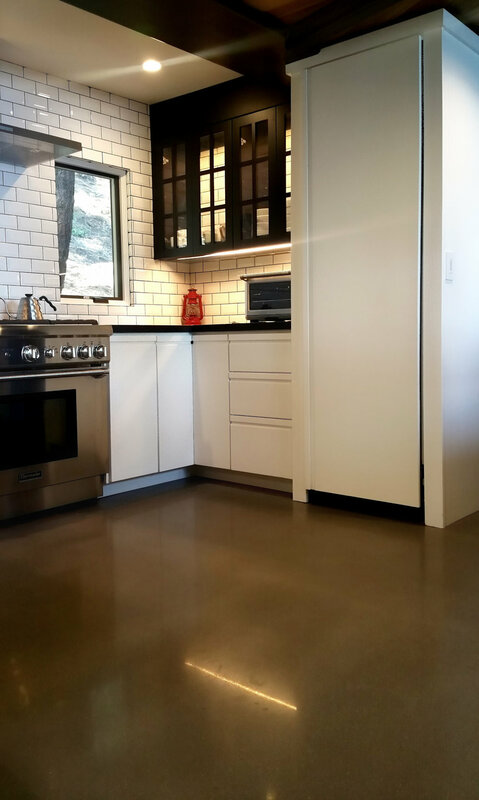 TRU allows you to accomplish a customizable polishable concrete floor regardless of the foundations natural characteristics.